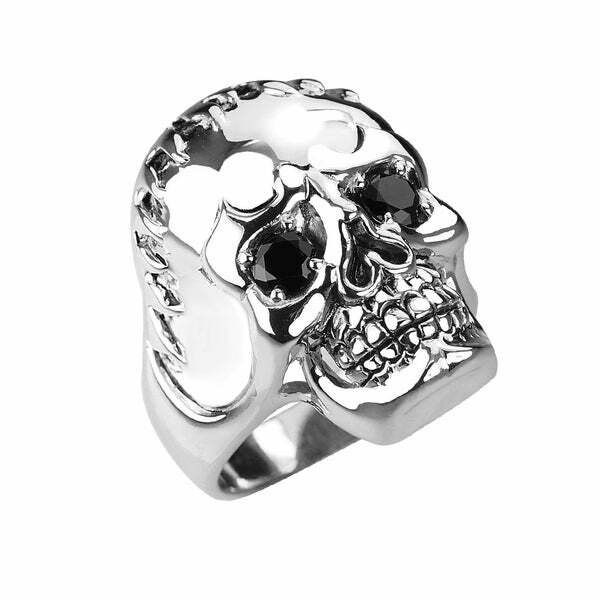 This ring, cast in sterling silver and plated in rhodium. Features a massive human skull with a fringe falling over its forehead. Prong-set black spinel draws attention to its hollow eyes. It makes a very fashionable accessory suitable for daily wear for any gentleman. It’s a gift that a brother, son, husband, boyfriend will appreciate and enjoy wearing for many years. Treatment code H (Heating) for main stone. See Treatment Guide for all treatment code information. Dimensions 5.0 In. X 5.0 In. X 5.0 In.